It’s hard to imagine nowadays, but restaurants as we know them today did not always exist. French Revolution Paris in the late 18th century is usually cited as the birthplace of the restaurant (the word itself is French), but many of the characteristics that define a modern restaurant were already in place in Song Dynasty China (ca. 1127–1279). In this fascinating article about the history of restaurants (warning: PDF), Nicholas Kiefer compares restaurants in Song Dynasty China and the development of the restaurant in France. He makes the distinction that restaurants were different from inns in that the latter primarily catered to travelers. 1950s Chinese actress, singer and superstar Grace Chang (葛兰 Ge Lan) really deserves a post that is devoted entirely to herself, but I’m going to start here with just one song. Recently, I spent a rather enjoyable morning watching Grace Chang clips on YouTube. My favourite is 我要你的爱 I Want Your Love. It’s a Chinese and English cover of a popular song of the time, I Want To Be Your Baby, first originated by Louis Jordan. Not only is the song bold and feisty–rather like Grace’s screen persona–it’s ridiculously catchy. First, Grace sings the call-and-response part in Mandarin, then effortlessly sashays her way through what is essentially the rap part of this song, which is in English to boot. Her diction is absolutely impeccable in this. When does she ever take a breath?! The video below features Grace’s vocals, but does not feature Grace herself. 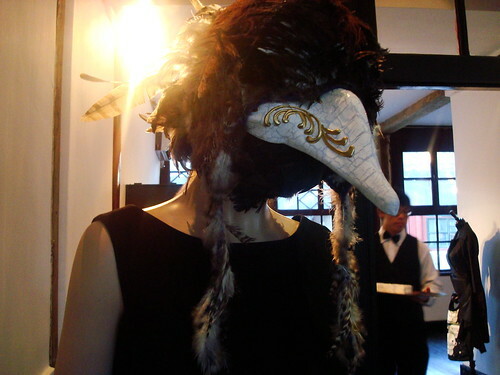 The clip is from the Tsai Ming Liang film “The Hole”, a post-apocalyptic musical of Taipei. I haven’t seen the film myself, but after watching this clip, I may have to. There’s also a partly Shanghaiese(?) version of the song by Taiwanese singer Mavis Fan 范晓萱. This is fascinating. The song begins first in Mandarin, then in English, then goes into Shanghaiese at about the 1:00 mark. Added bonus: In Japanese! with Izumi Yukimura, who Wikipedia calls “one of the three most popular female singers in the early postwar Japan.” Izumi’s version differs from Grace’s in that she begins in English and the fast part is in Japanese. Like most book nerds, I can spend hours browsing a bookstore, and this is particularly true of the branches of the Fujianese bookstore chain O2Sun. 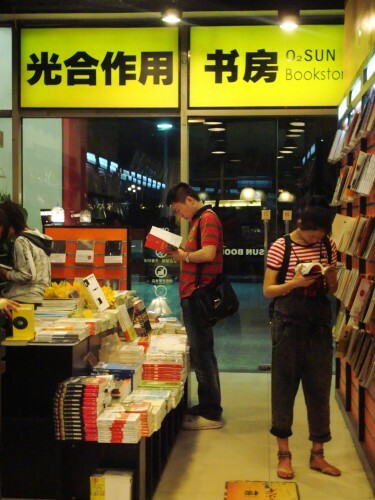 Branches can be found all over China, and it is the kind of store that is definitely more oriented towards a younger, relatively hip reader with money to spare; in short, it’s pretty 80后 (post-80s generation). The book selection here isn’t as extensive as what you would find at a Xinhua bookstore, and if English is your thing, this is not the place to go. If you do read Chinese, O2Sun’s selection is quite well curated. 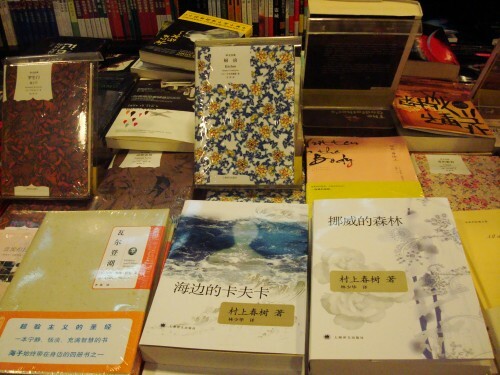 Chinese literature is of course represented, but you’ll also find a good selection of popular fiction, international literature, and design books. For a long time I just kept coming back to this store because one of the displays in the Sanlitun branch was on cute apartments in Paris. 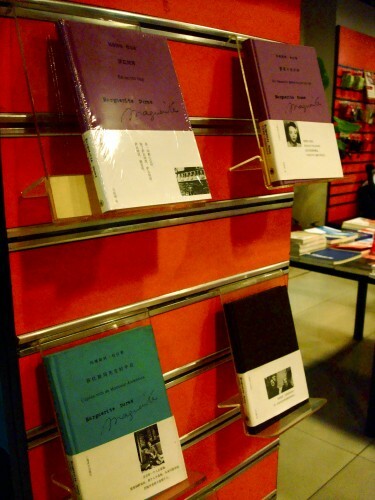 Promoting the works of Marguerite Duras. International literature by Haruki Murakami, Banana Yoshimoto and Vladimir Nabokov. In case you think that O2sun only carries middlebrow literature for the international hipster set, my most recent book purchase here was the Chinese translation of Confessions of a Shopaholic by Sophie Kinsella. 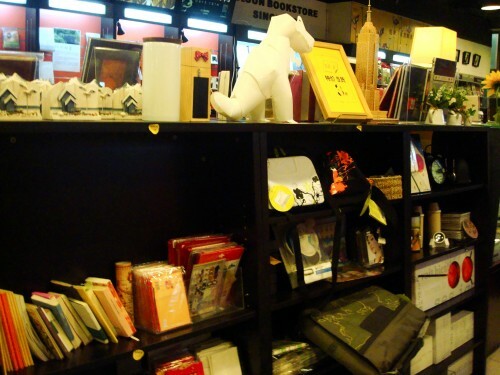 Like other Asian bookstore chains such as Japan’s Kinokuniya, Singapore’s Page One or Taiwan’s Eslite, O2Sun also carries an extensive selection of cute, well-designed objects for everyday life. If it ever occurred to you that you might need a USB hub that is shaped like a rotary telephone, or a notebook that features signs from various neighborhoods in Hong Kong, O2Sun is where you will find them. When in Asia, do as the locals do, and purchase something cute. One particular strength is that they have started carrying limited edition art prints by Chinese artists in their stores. 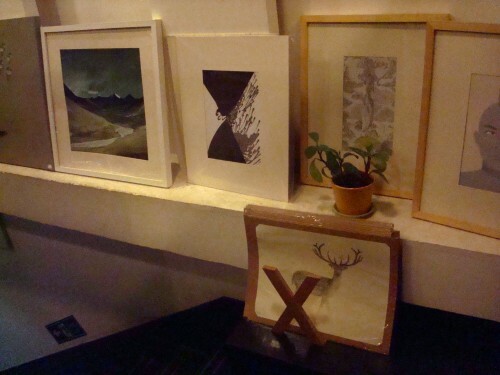 It’s quite hard to find affordable–and by affordable I mean less than 500 RMB, not less than 10,000 RMB, bless your rich little hearts–art in Beijing for decorating one’s flat, so you would not go amiss by starting here. Like all good bookstores, O2Sun also has a coffee shop with WiFi attached. The coffee and tea are quite decent, particularly their floral teas. Tip: Get the VIP card if you make a purchase worth over 200 RMB. 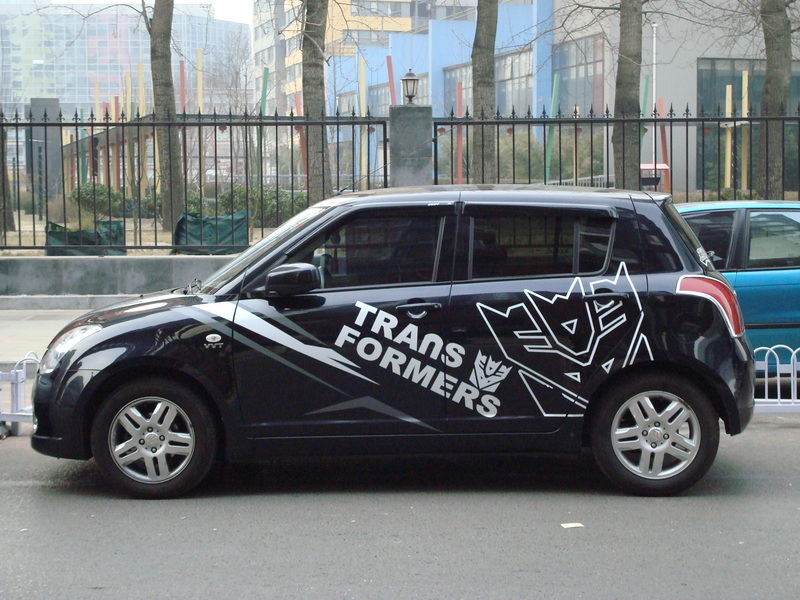 Afterwards, you get a 10% discount on everything, including! 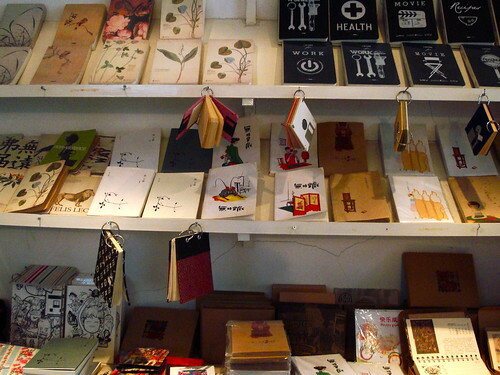 cute notebooks, coffee, artwork, and teacups that smile at you. Bargain! Update: O2Sun has closed. I’m glad I wasn’t there to witness it. It’s been two weeks since I dumped you. I haven’t regretted that decision one bit. Even more than New York, we had a real love/hate relationship. quirkyBeijing started because I wanted to like you a little bit. Other people instantly fell in love with you, but I just couldn’t see it. I could never understand what others found so charming about you. Even the little pockets of awesome that I tried to chronicle here in this blog were never enough to keep me. So why did I stay for four long years? I write this now in the days leading up to the tenth anniversary of September 11th. It’s a time to reflect on the girl that I was on that day, and the woman that I am now. Continents, oceans and an entire lifetime separate us. 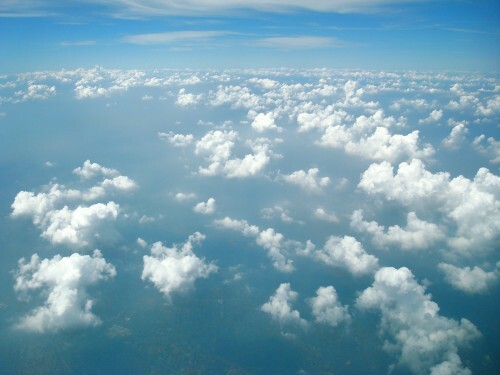 There was a lot that you didn’t have in abundance. Blue skies were rare, an actual queue even rarer. But what you did have was a lot of hope for the future, and that was something that I didn’t have much of after I left New York. All of a sudden you believed that you were the center of the world, the heart of the Middle Kingdom, the center of history. 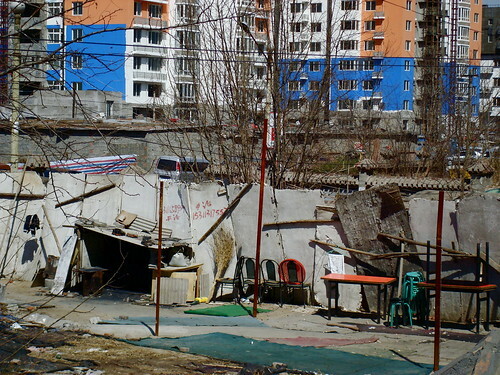 An entire country lifting out of poverty, the miracle of what China could be. You believed so much that you threw yourself into it with an utter, reckless abandon and got people all around the world to believe in it too. Most of the time I didn’t believe the hype, but in my heart of hearts, I let myself believe just a little bit. It was enough. So thank you, Beijing, for letting me be a part of your story for four years, and for teaching me to never settle for being second best. You see, that’s why I had to leave too. 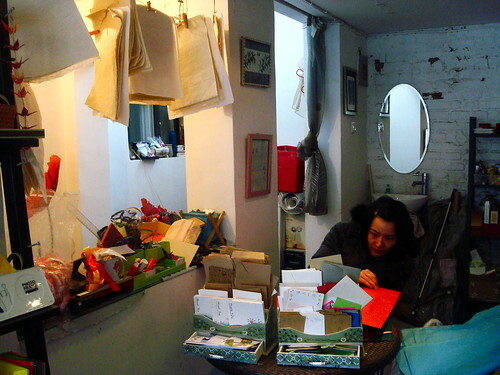 PaperTalk is one of my favourite, favourite places in Beijing. 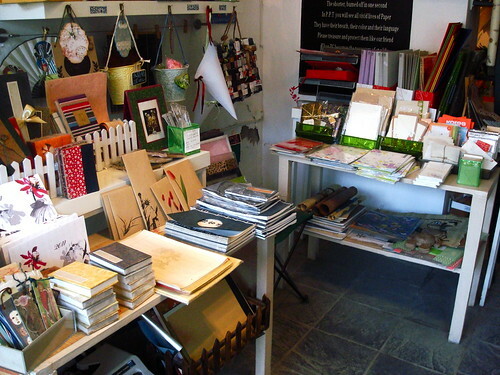 Nestled in Fangjia Hutong (方家胡同), this adorable shop specializes in paper products and specialty papers from all around the world. It is all very fitting considering that paper was a Chinese invention. Proprietor Haiyi is passionate about paper, and PaperTalk is a perfect platform for her to share that passion with others. Not only is paper the star of the show here, the shop itself is a serene and whimsical place bursting with warmth and charm, inside and out. For instance, in the summer, the small terrace also serves as a container garden for herbs and flowers. I admit to being easily seduced by just about any store with a container garden outside! 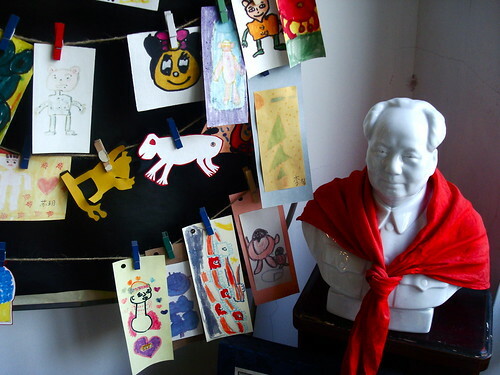 A bust of Chairman Mao, wearing a red scarf in the style of the Young Pioneers, reigns over this little corner. 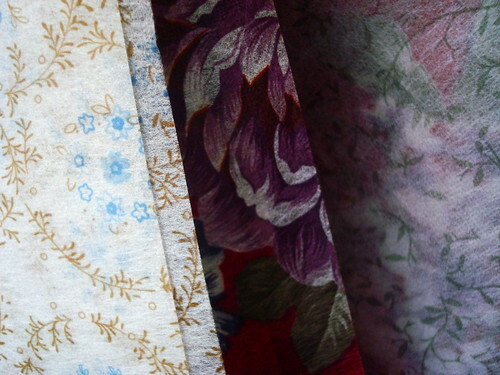 Paper from Korea, Japan, Thailand, Tibet, and of course, China, is used to make bags and other products. 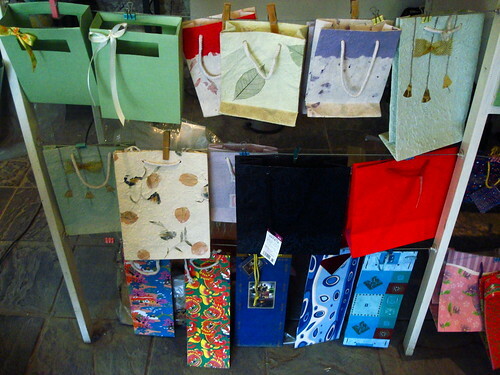 Haiyi also creates custom paper products, particularly for weddings. When I visited her, she was busy making lucky draw boxes for the many company Chinese New Year parties that are going on this time of year. 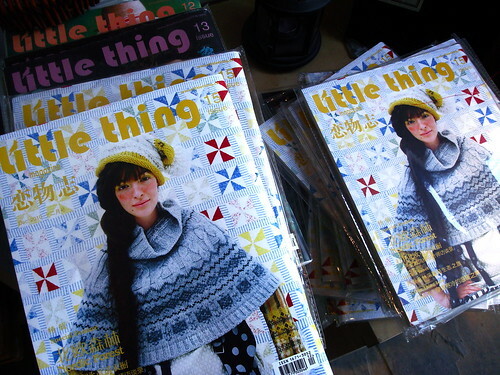 My main reason for going to Paper Talk is to pick up a copy of my favourite magazine, Little Thing. If you can read Chinese, and you are a young woman who loves indie, DIY, and the Etsy school of design-in other words, if you are me–then you’ll also love this magazine. Every few weeks, I savour the experience of tripping down Fangjia Hutong, going to PaperTalk, chatting with Haiyi, and then picking up the latest issue of Little Thing. Sure, I could subscribe to the magazine and get it delivered to my mailbox, but it just wouldn’t be the same. PaperTalk is one of the few places in Beijing where you can pick it up, and it is so popular that Haiyi maintains a mobile phone list to notify readers when a new issue comes in. If you’re feeling thirsty after contemplating which adorable notebook to buy or after perusing Little Thing, PaperTalk also serves coffee and a small selection of drinks. 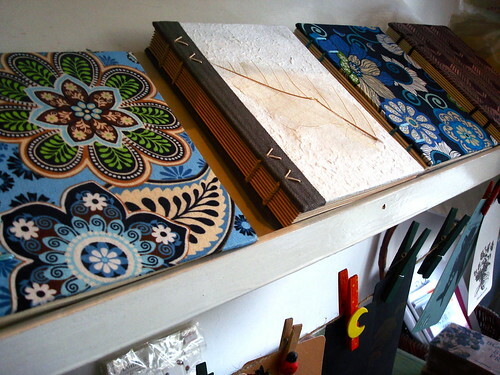 More beautiful notebooks on sale. Last year, last year!, I started the One A Day Photo Project, which only made it to two posts before I went on another long, unintended hiatus. The sad thing is that I did take a considerable number of photographs, but never got around to editing and uploading them. But here are some of the photos now, nearly a full year later. 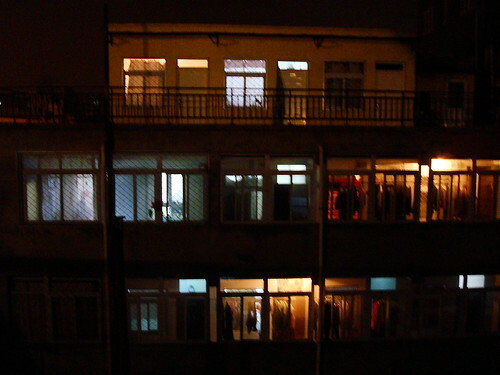 I pass by this building nearly every day on the way to and from the subway, and one evening the way it was lit from within caught my eye. A couple waiting as the subway enters the station. 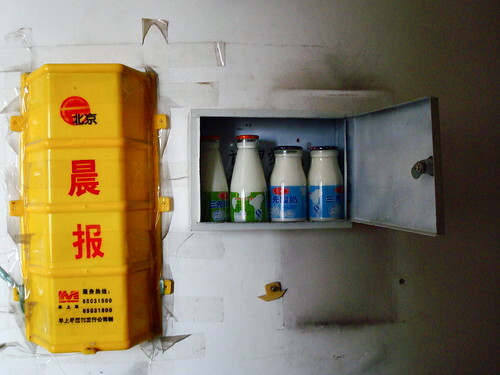 I am oddly fascinated by these very quotidian boxes for newspaper and milk/yogurt delivery, they have their own ordinary charm. What caught my eye here was the way the colors played against each other. 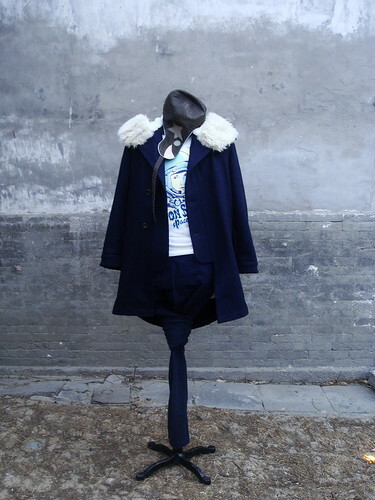 Beijing is not a city particularly known for its fashion or its style, at least, not yet, but sometimes one stumbles across both. 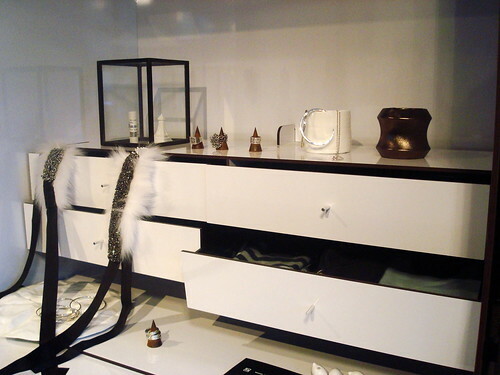 Hidden behind a door with only its street number, the stylish boutique Wuhao calls itself a “curated shop”. Situated in a gorgeous siheyuan–formerly occupied by Wanrong, the Last Empress, before she was married to Puyi–Wuhao features original art, clothing and jewelry from Chinese and foreign designers in a playful and interesting setting. If you think that ‘Made in China’ only means cheap, factory produced goods, Wuhao aims to change your mind. 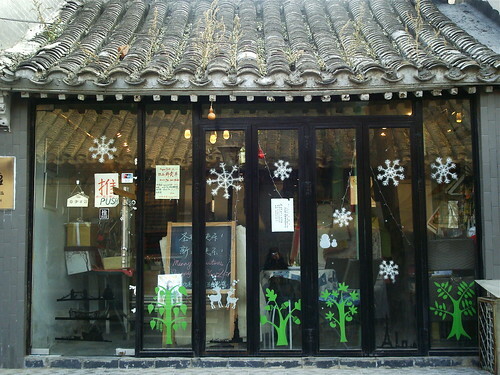 The store emphasizes traditional Chinese techniques and processes with contemporary Chinese and international aesthetics. 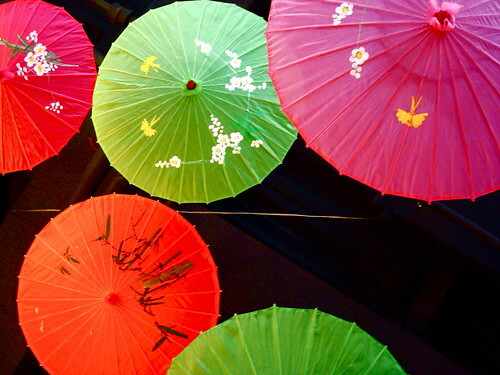 Wuhao changes its themes and wares seasonally. The theme for this season was water, so when we first walked through the anonymous door, the entrance way featured an art piece composed of fish made of ice. Other outdoor art works included a faucet dripping water, turning into ice in the cold, and an oddly disturbing mannequin posing outside. I was curious about what exactly being a “curated shop” meant. 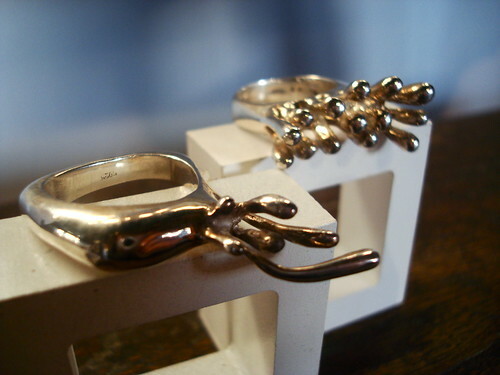 Apparently, the owners work with the designers and craftspeople to create specific pieces for the shop . 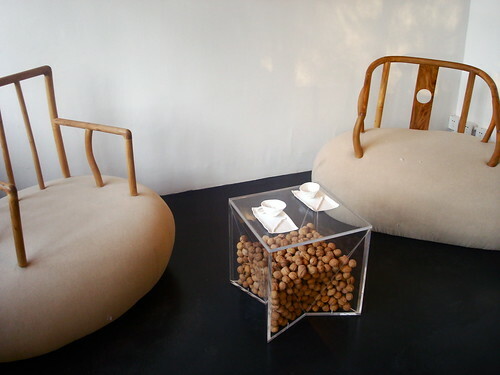 For instance, a wooden bench that was designed and crafted using traditional Chinese woodworking techniques was worked and reworked with both input from the designer and the owners. Since the designer was only able to find one craftsman, the bench took three months to make. 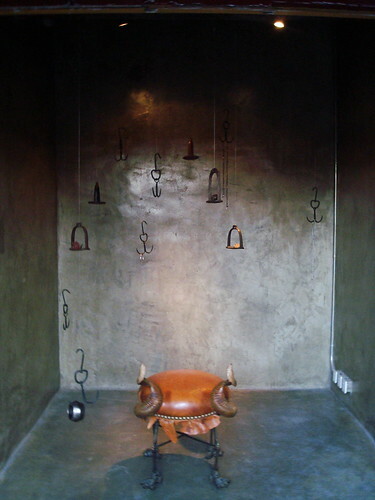 Away from the cold and inside the courtyard rooms, jewelry and original designs abound. 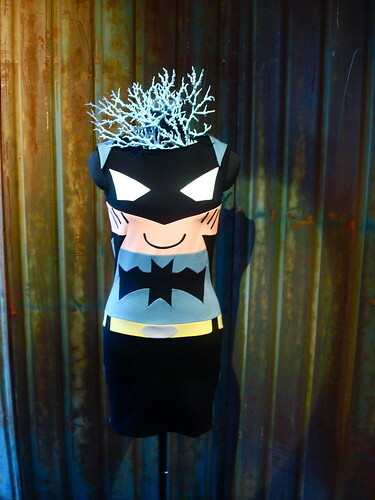 This was one of my favourite pieces, the Batman Dress! As an added bonus, since qB happened to attend during the opening for the winter collection (we love being a plus-one, and want to be yours), there were madeleines and hot chocolate. It was positively Proustian. 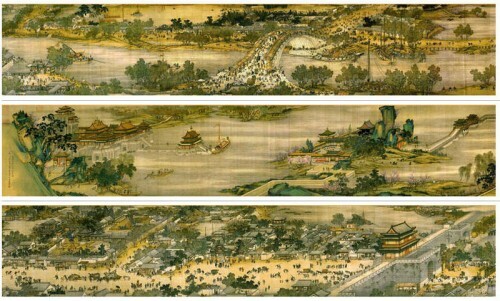 With no publicity other than word-of-mouth buzz, Wuhao is a delightful Beijing secret. I can’t wait to see what spring will bring. By appointment only, although in January 2011, the shop will be open daily from 2-5pm.